MANILA, Philippines – Adamson team captain Jema Galanza could not hold back her tears while leaving the FilOil Flying V Centre in San Juan on Wednesday. 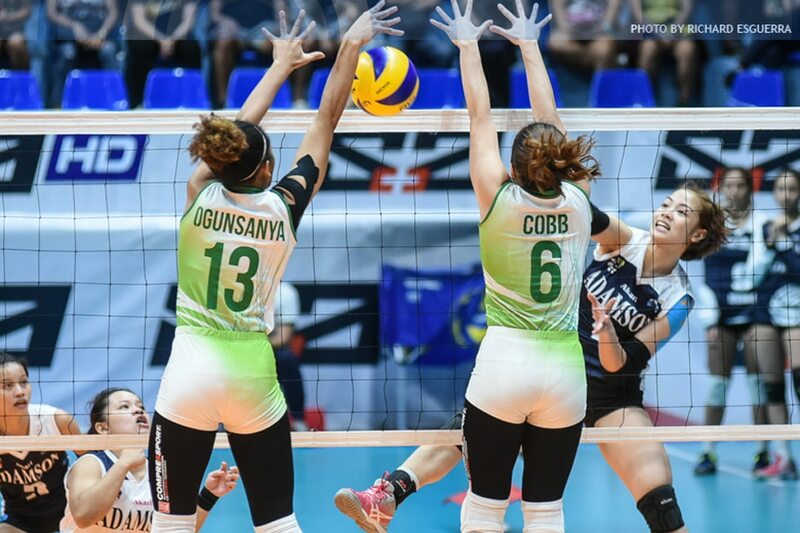 The Lady Falcons absorbed a tough 21-25, 15-25, 25-22, 18-25 loss at the hands of defending champion De La Salle University – a result that ended their chances of advancing to the Final 4 of the UAAP Season 80 women's volleyball tournament. Galanza had 12 points and 11 digs in the game, but her efforts were clearly not enough to lead Adamson past the Lady Spikers. Only one other Lady Falcon – Eli Soyud, with 17 points – reached double-digits. Galanza declined to talk to reporters after the game, but her tears said enough. This was not how her final season in Adamson was supposed to go, as the Lady Falcons were touted as a Final 4 contender ahead of the tournament thanks to their talented roster. But baffling losses to University of the East and University of the Philippines derailed Adamson's campaign. Also costly were their five-set defeats to Ateneo and Far Eastern University in back-to-back games, defeats that came after the Lady Falcons had already taken a 2-1 lead in those matches. They still have one game left on Saturday against University of Santo Tomas, and coach Airess Padda, can only hope that the Lady Falcons will respond positively and try to end their campaign on a bright note. 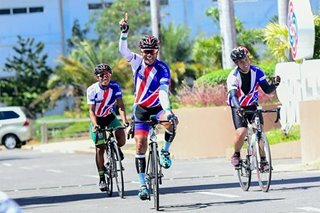 "I just told them straight up that there's training tomorrow," Padda said. "If they want to fight, then show up. If they don't, don't come at all. I just need seven girls. If that's what we show up with on Saturday, then I'll be ready with those girls."